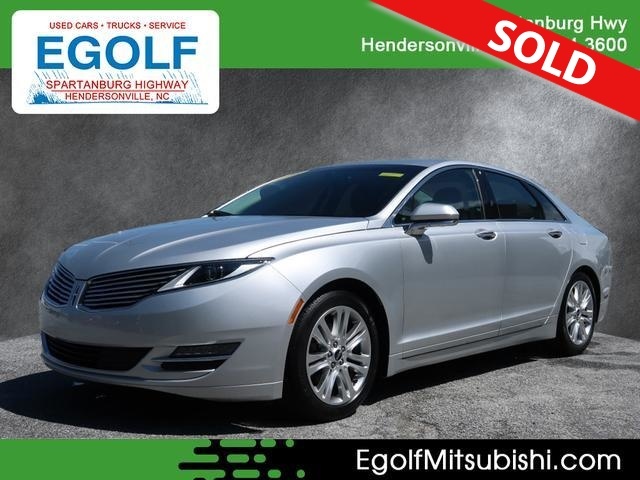 2016 LINCOLN MKZ, AUTOMATIC TRANSMISSION, CLEAN AUTOCHECK HISTORY REPORT, HEATED LEATHER INTERIOR, REAR BACKUP CAMERA, POWER DRIVER AND PASSENGER SEAT, REMOTE KEYLESS ENTRY WITH REMOTE START, ALLOY WHEELS, REAR PARK ASSIST LOW MILES AND MUCH MORE. PLEASE CONTACT EGOLF MITSUBISHI SALES AND SERVICE 1325 SPARTANBURG HIGHWAY, HENDERSONVILLE NC 28792 @ 828-694-3600 FINANCING AVAILABLE FOR ALL CREDIT TYPES!!. © 2019 HendersonvilleUsed.com. All rights reserved.